With only 7 ingredients you’ll be off and running to make these and mixing them up and seeing them come out of the oven 25 minutes later. One teaspoon good-quality vanilla like Watkins good organic one. Stir all the ingredients except the nuts and the blueberries, making sure that you mix the batter well. Add in the sliced almonds and then very gently fold in the organic blueberries. Preheat the convection oven or regular oven to 350 degrees. 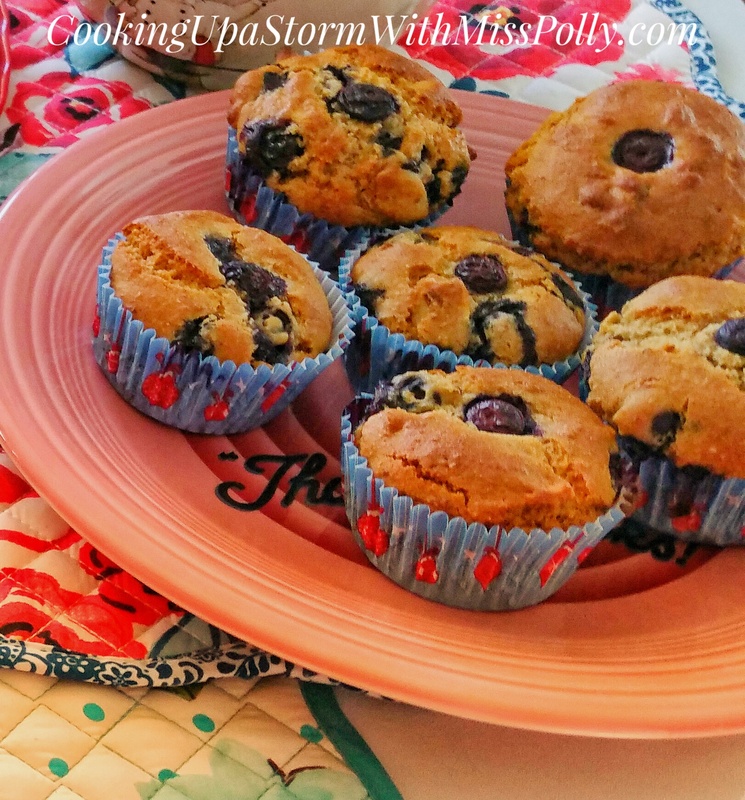 Spoon into a greased muffin pan or into a muffin tin with paper muffin liners and then bake the six muffins for about 18 to 20 minutes, testing with a toothpick to make sure they’re done.